Blip - Reminder: MonsTAY Hunter Night at 8:00 EDT Tomorrow! Just a reminder for everyone that MonsTAY Hunter Night is tomorrow at 8:00 EDT! I'll have the post up at 7:30 so you can start forming your teams, but don't let that stop you from trying to coordinate now! 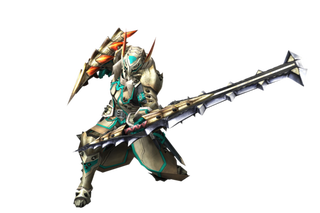 As of right now, I plan on being there and doing some G-Rank Quests to help flesh out my arsenal. Hope to see you all at the Tavern!